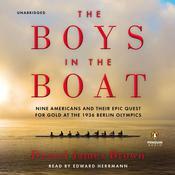 The #1 New York Times–bestselling story about American Olympic triumph in Nazi Germany and now the inspiration for the forthcoming PBS documentary “Boys of ‘36” For readers of Unbroken, out of the depths of the Depression comes an irresistible story about beating the odds and finding hope in the most desperate of times—the improbable, intimate account of how nine working-class boys from the American West showed the world at the 1936 Olympics in Berlin what true grit really meant. It was an unlikely quest from the start. With a team composed of the sons of loggers, shipyard workers, and farmers, the University of Washington’s eight-oar crew team was never expected to defeat the elite teams of the East Coast and Great Britain, yet they did, going on to shock the world by defeating the German team rowing for Adolf Hitler. The emotional heart of the tale lies with Joe Rantz, a teenager without family or prospects, who rows not only to regain his shattered self-regard but also to find a real place for himself in the world. 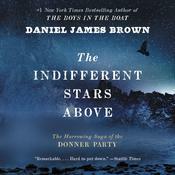 Drawing on the boys’ own journals and vivid memories of a once-in-a-lifetime shared dream, Brown has created an unforgettable portrait of an era, a celebration of a remarkable achievement, and a chronicle of one extraordinary young man’s personal quest. 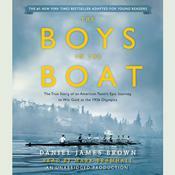 When they make the movie of this book it will do for rowing what Chariots of Fire did for running. A well-integrated, compelling series of stories about individual and team determination against a textured backdrop encompassing the depression and the coming of World War II. 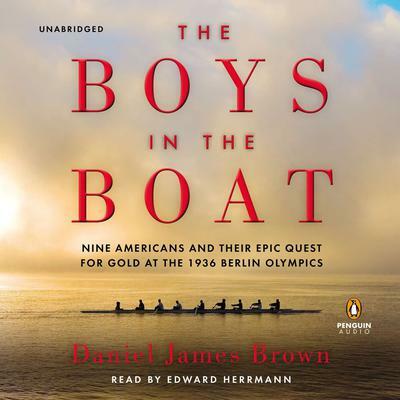 The only risk of listening to this book is that you will feel compelled to get out in one of these boats and embarrass yourself! Anyone with any connections to the Pacific Northwest will especially appreciate the regional detail, although I suspect that WSU grads might take a slightly less enthusiastic view of the University of Washington's 1936 Olympics gold medal crew. 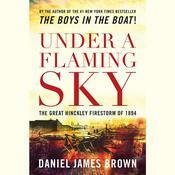 It's a terrific story, well-told and highly recommended!